On Your Mark! Get Set! Design! 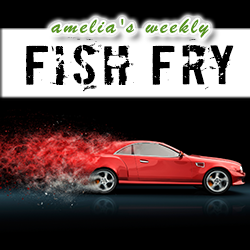 In this week’s Fish Fry, I chat with Alex Tan (Marvell Semiconductor) about the emerging trends in automotive design, the biggest challenges that we face as engineers when it comes to automotive product design, and how Marvell’s new Automotive Center of Excellence will help us make our motor-runnin’ dreams become reality. Also this week, we take a slower look at that big ol’ traffic jam called DFT and why emulation may be the key to getting DFT off the critical path on your next chip design.